Luxurious, relaxing and stylish, it’s time to check out the stunning Kempinski Hotel Bahia in Spain. 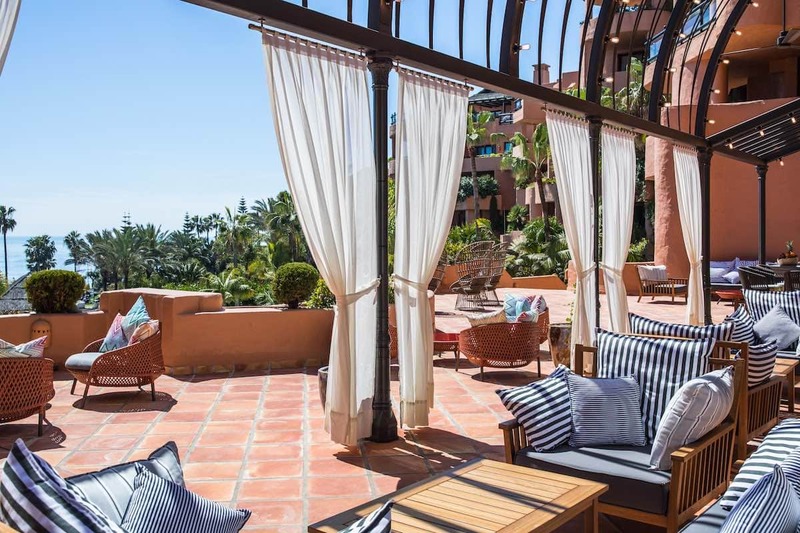 A few weeks ago I sent food and travel blogger Vicky on a luxurious break to check out one of Kempinski’s top hotels in Spain. Fresh from her relaxing trip, it’s time for the lowdown… over to Vicky! After a flight at the crack of dawn from a very grey London, it was a delight to be met by a smiling member of the Kempinski Bahia team waiting for me at arrivals in Malaga airport. I hopped on board the Kempinski Mercedes people carrier and instantly felt at ease in the heat of southern Spain. There were chilled water bottles, lots of things to read and some cheery music playing. 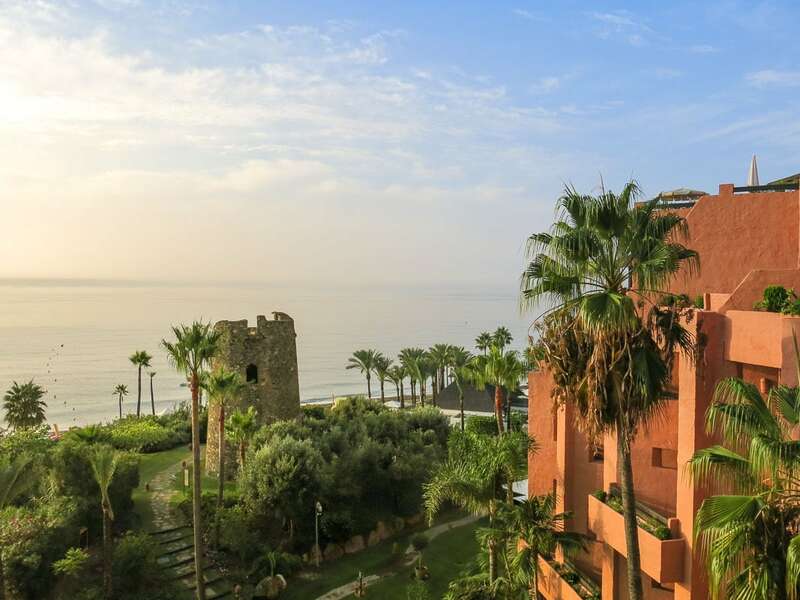 It’s just a 45-minute drive from Malaga Airport to Estepona where the hotel is located… and you know if the pickup is this good the hotel is going to be great! The drive took us through mountainous landscapes with the sea coming into view. As we entered the driveway to the hotel, Kempinski Bahia looked extremely grand. More lovely staff greeted us as we walked through a beautiful outer entrance with giant wicker chairs, lush green plants and the two resident hotel parrots who loved a chat as we walked past! But this is only the beginning. Walking into the newly refurbished lobby my eyes almost couldn’t take in the grandeur of the space! It’s beautiful and functional. This is the hub of the hotel and once checked in I made my way to my room, excited about what the next few days would hold. I explored all corners of this luxury hotel: its beautiful pools, the relaxing spa, the beach and of course all the delicious restaurants! 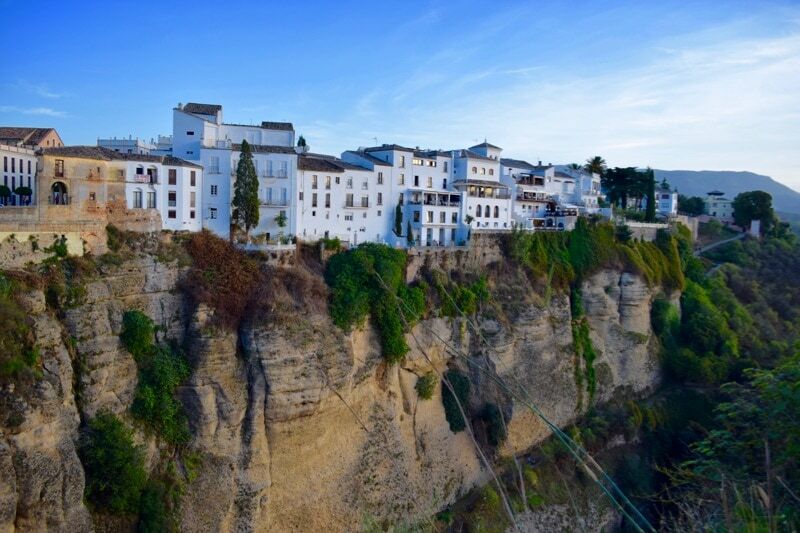 I realised how well positioned Kempinski Bahia is for numerous activities including boat trips, golf, water sports, and tours to cities such as Ronda, Córdoba and Granada. Whether you want to spend your days relaxing in the sunshine or you prefer things a little more active, the hotel has something for everyone. 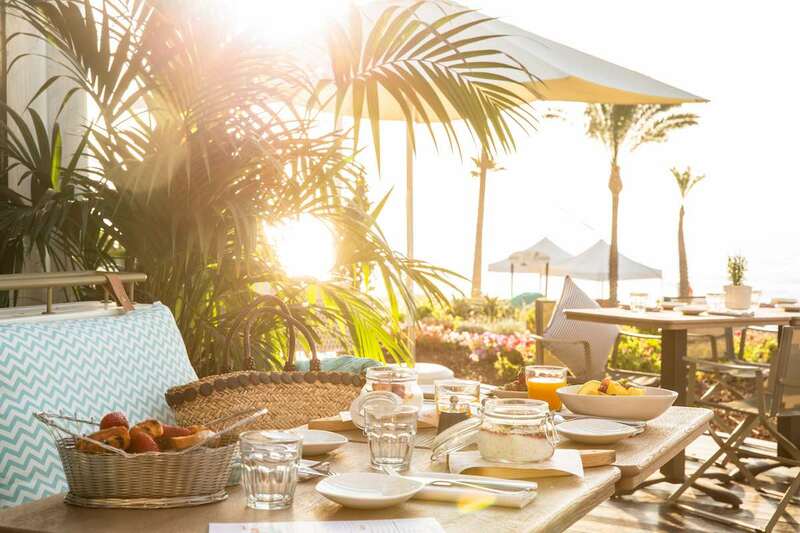 So here’s what you can expect from a stay at Kempinski Hotel Bahía Beach Resort & Spa. 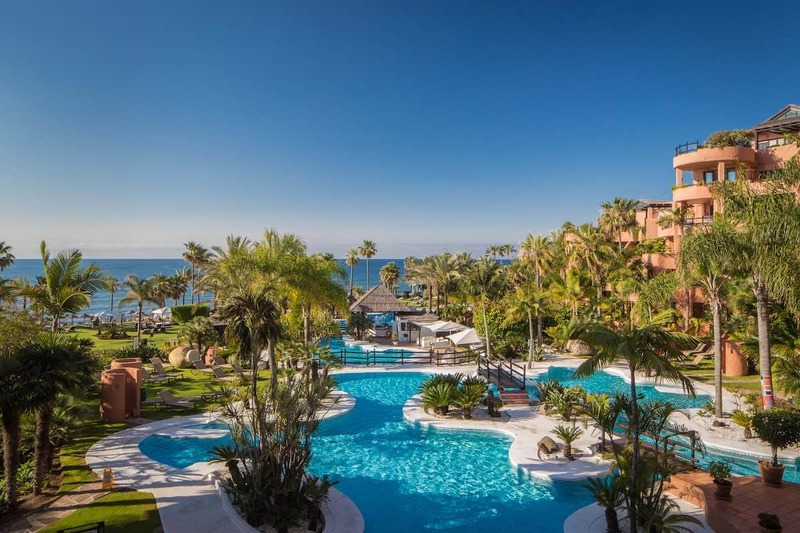 True to its brand, this Kempinski Estepona hotel offers pure 5-star luxury. Its neighbours Marbella and Puerto Banús may have certain preconceptions, but this hotel is a far cry from these. 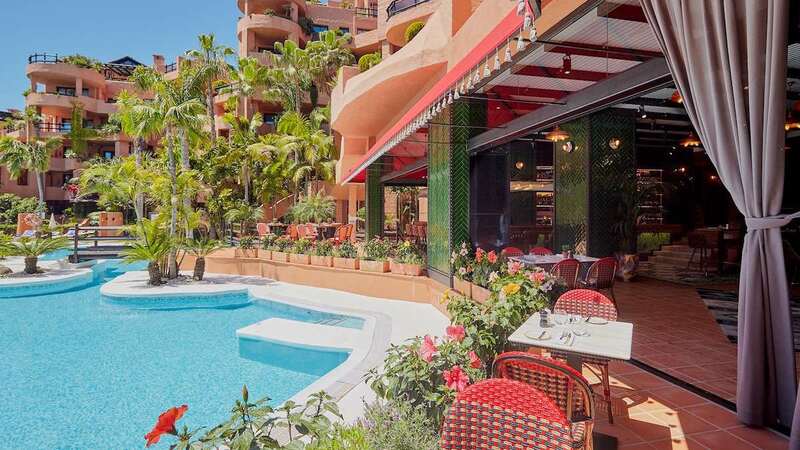 Situated on a quiet stretch of beach and located by the charming fishing town of Estepona, this is somewhere you can fully relax. The hotel is elegant, grand and luxurious and with just 128 rooms it doesn’t feel cramped or crowded. There are three outdoor pools (one is heated) that are surrounded by luscious subtropical gardens. I really loved how green it felt, like I was staying in a botanical garden! There is also the incredible spa and fitness centre which has an indoor pool, a well-equipped gym, a Finnish sauna, steam room and relaxation area. 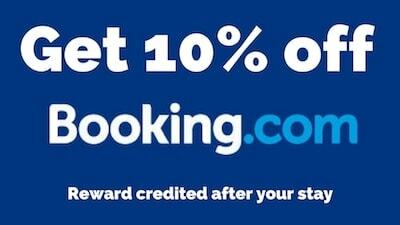 But if you fancy getting out and about, you are only a 15-minute drive from Marbella or Puerto Banús. Also the Laguna Village shopping complex with its beach club and restaurants is​​​ walking distance from the hotel. And don’t forget all the gorgeous Andalusian towns which are perfect for day trips. 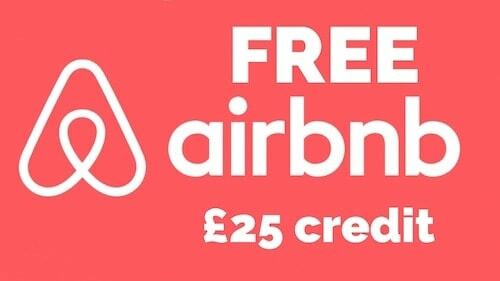 There is plenty on the doorstep of this hotel! I can’t talk about the style and décor of the hotel without starting with the newly redesigned lobby. 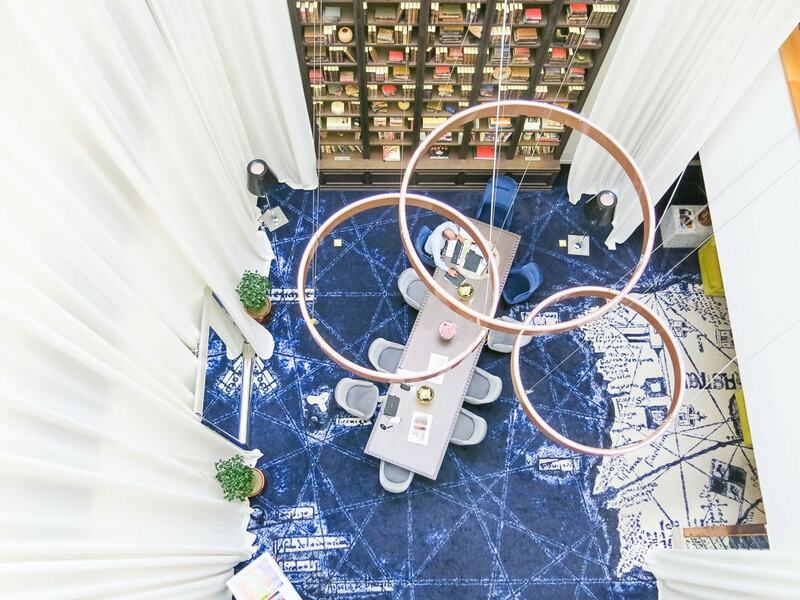 This large, glamorous space is the beating heart of the hotel. You can eat and drink at Black Rose alongside the reception and lovely concierge area. How would I describe this area of the hotel? Big, bold and blue. The moment I walked in the first thing I noticed was the smell. I know this sounds crazy, but it was the most incredible scent! It reminded me of hotels in Bali. It’s fresh and calming and just utterly lovely. The second thing I noticed was the deep blue that covers the walls. I was transported back to The Majorelle Gardens in Marrakech. That’s no surprise seeing as the interior designer took a lot of inspiration from its very close neighbours in north Africa. In fact, on a clear day you can actually see Gibraltar and the northern tip of Morocco from the beach. The blue is to represent the Mediterranean and the gorgeous long days of blue skies. It was painted 5 times to get the deep shade of blue. There is no pantone that matches it – it really does glow! 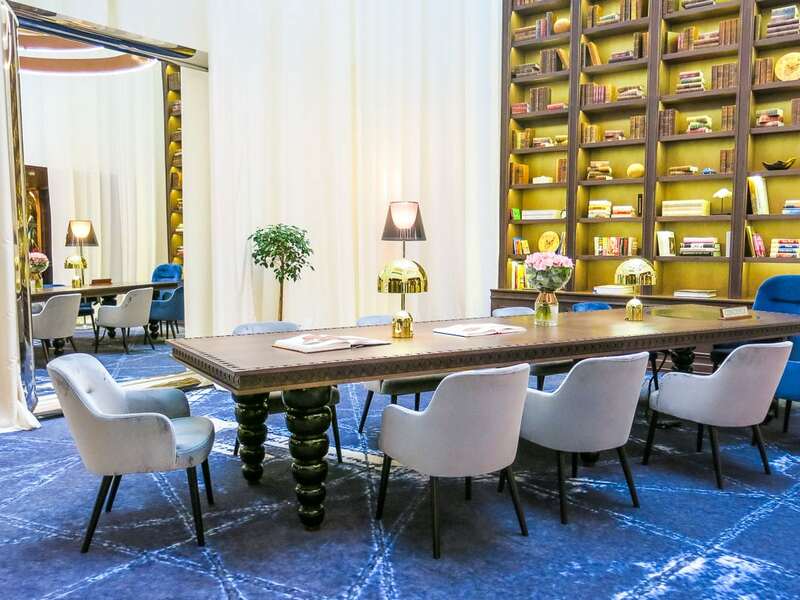 The rooms definitely have a different feel to the new lobby area but they are stylishly elegant and the colours, fabrics and materials feel luxurious. All the rooms have balconies and the suites have lovely terraces. The views over the gardens and into the sea are beautiful. The rooms are spacious and have all the amenities you could need. Plus there are daily tasty treats left in your room which I loved coming back to each day! There is talk of the rooms being updated, but they are nice and comfy, and feel like a home from home. If you like a more modern aesthetic then definitely take a look at some of the suites. I’m the kind of person who loves to mix up their holiday. I enjoy full-on relaxation days mixed in with fun activities that get me out, moving and exploring! And that’s what I loved about Kempinski Bahia. There are such a range of things to do. 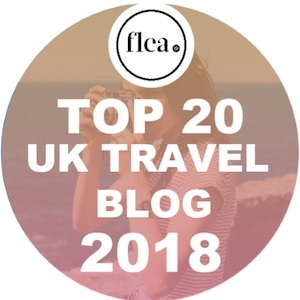 It’s one of the top hotels in Estepona (which has a beautiful old town of white washed walls and pretty squares) and works as the perfect base for numerous day trips in southern Spain. 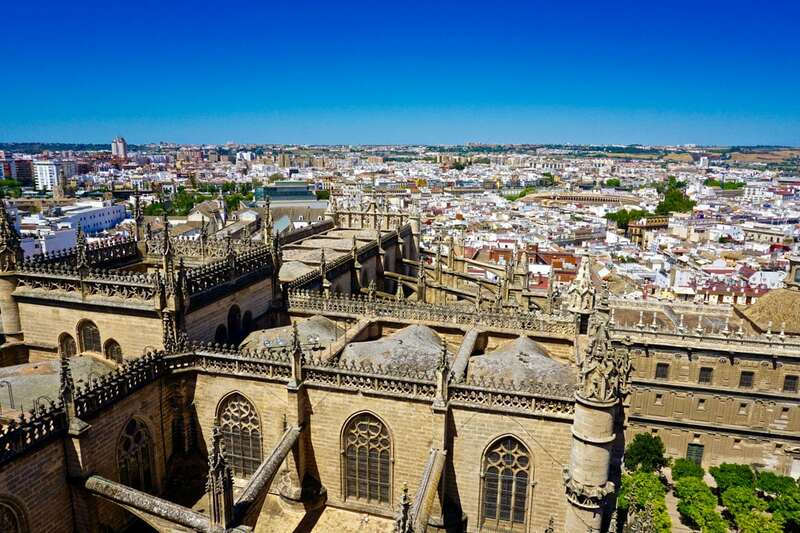 As well as being so close to Marbella and Puerto Banús, the location of the hotel means you can spend your day exploring Granada, Ronda, Gibraltar and Córdoba. 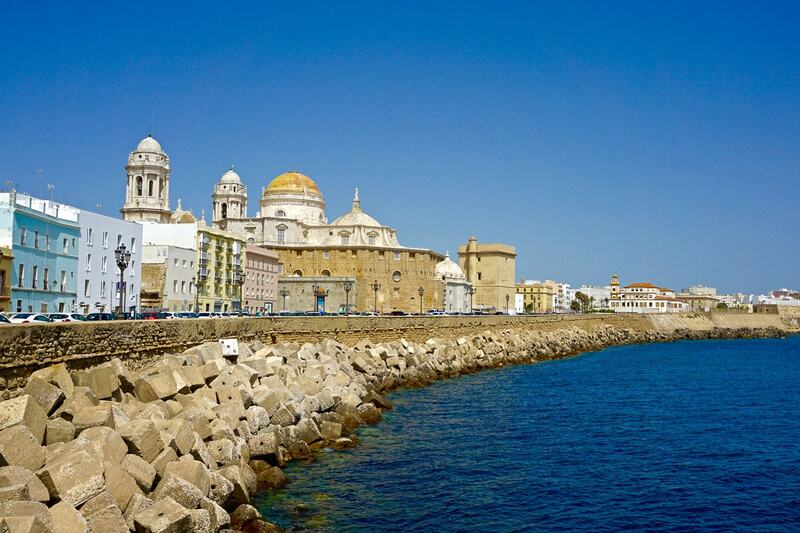 If you get up a little earlier you can spend the day in Cadiz, Jerez or Seville. You can even organise trips to Tangier in Morocco! 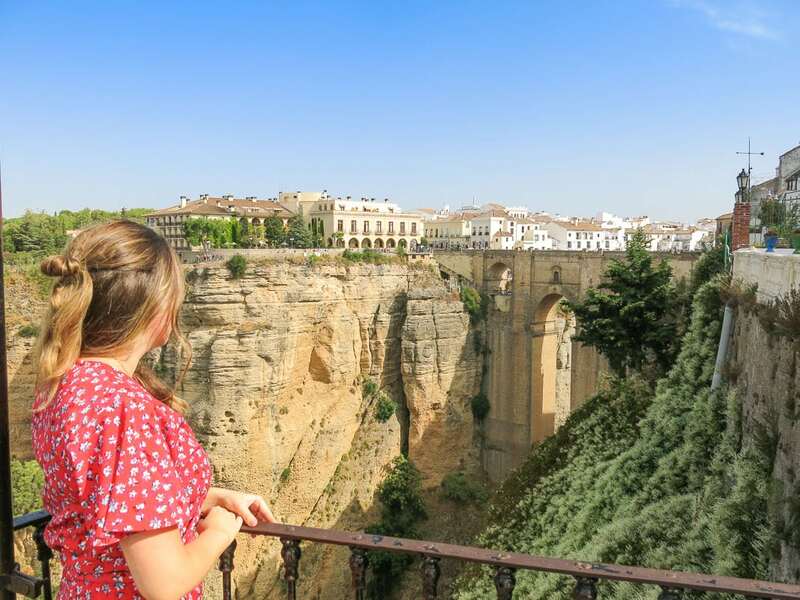 We spent a wonderfully sunny day in the stunning town of Ronda. The roads are very winding to get there, but the views and architecture definitely make up for it! It’s such a beautiful place and definitely worth taking a day to explore. 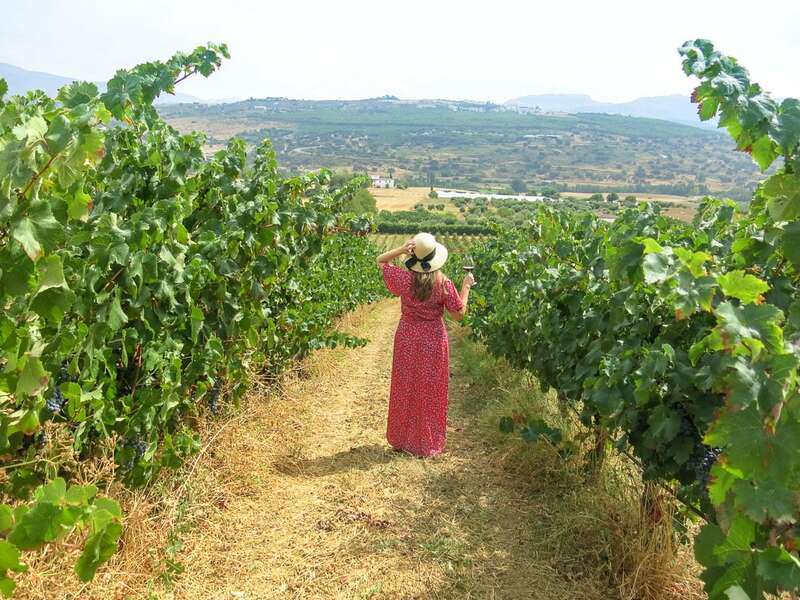 Especially when its followed by lunch and wine tasting at the family run winery Finca Las Fruitales. If you fancy staying closer to the hotel, you can use the hotels mountain bikes and ride along the seafront where a new path goes on for miles and miles! There are plenty of water sports to try out, and don’t forget the top golf courses close by too. The hotel has its own golf concierge who will help get you into the more exclusive courses. 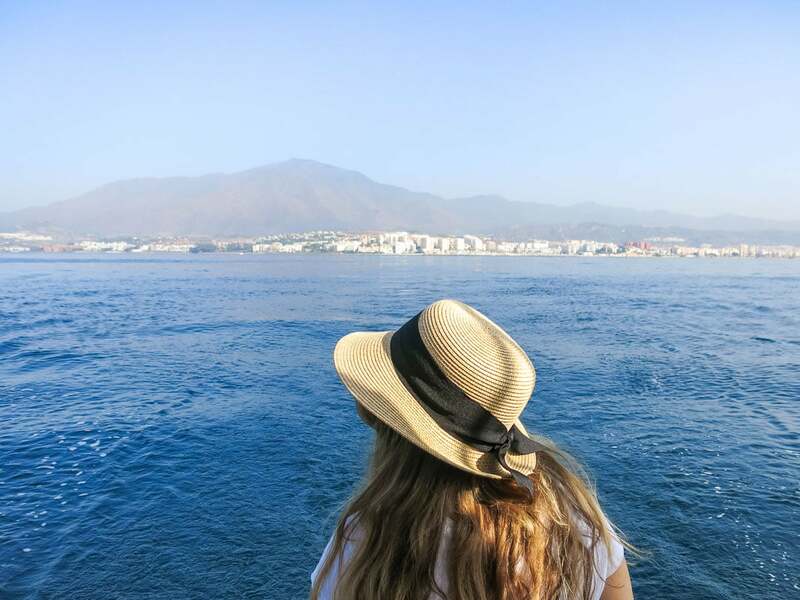 Did you know it’s possible to spot dolphins in this part of the Costa del Sol? It’s true, you can! We took a beautiful sailing boat out one day where we ate on board and sailed in the glorious sunshine on the hunt for them. We were a little unlucky and didn’t spot any, but I still enjoyed my hair blowing in the wind as I took in every bit of sea air! There is the incredible spa at the hotel – and yes, I definitely class the spa as an activity! 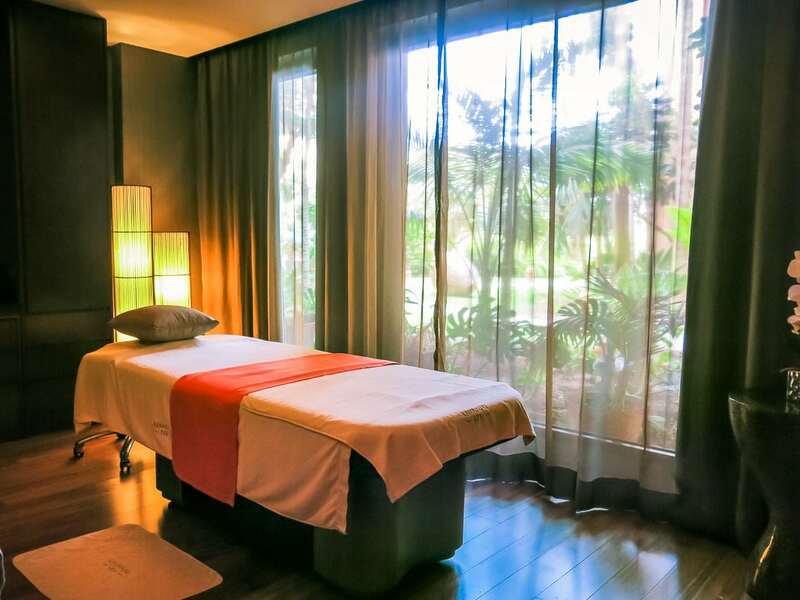 The spa has six luxurious treatment rooms including the Aqua Spa suite which is ideal for couples. There are so many treatments available, including some using high-quality brands NIANCE and Natura Bissé. I came out of my massage feeling completely zen. 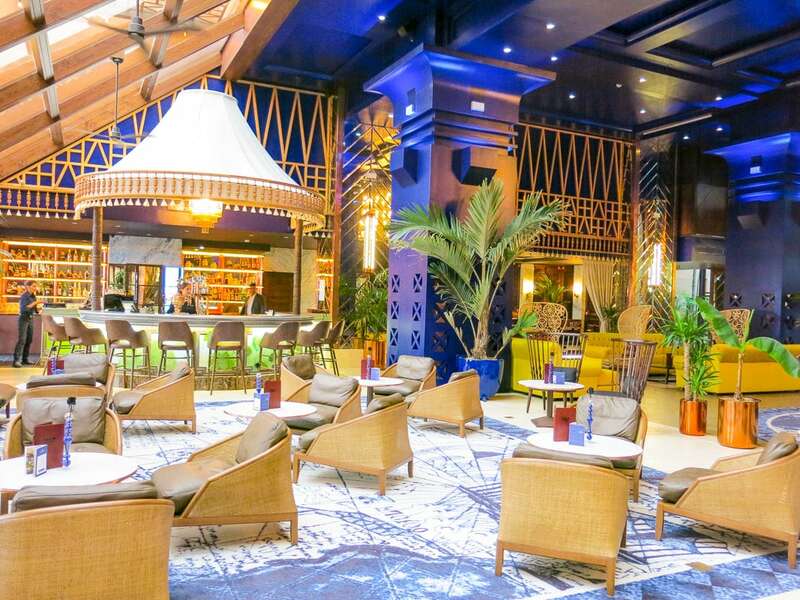 Following the extensive redesign earlier this year there are now three very different dining options at the hotel: Black Rose, Spiler Beach Club and Baltazar Bar and Grill. Food is definitely not an afterthought here at the Kempinski Bahía – it’s an important part of the Kempinski experience. Spiler Beach Club right on the edge of the beach has those Ibiza beach club vibes which I love. The feeling is bright, clean and fun. There’s plenty of great seafood on offer, including a whole raw bar. 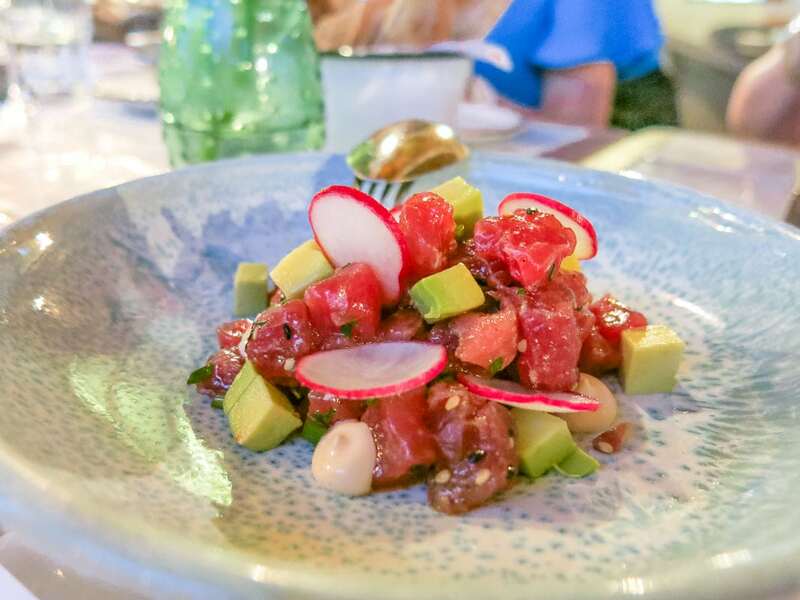 The tuna ceviche was a highlight! As the sun goes down people started to reappear freshly dressed, ready to enjoy one of the many delicious cocktails on offer from the Black Rose bar. This is a lovely space where people seem to congregate throughout the day and into the night. You can watch the sunset from the terrace whilst sipping on your drinks and enjoying some live music. 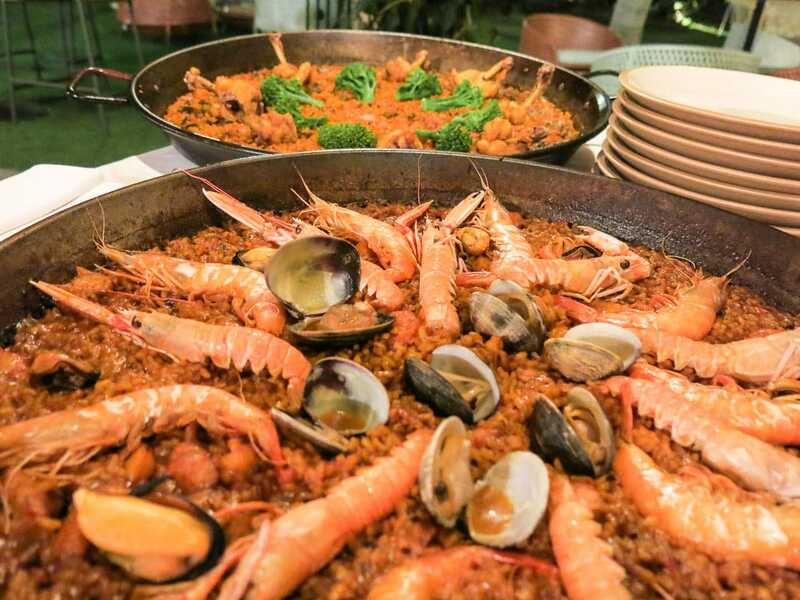 Then you can make you way to Baltazar Bar and Grill for dinner. You’ll find it by the top pool and the whole front of the restaurant opens up to let the outside in. The aesthetics in here are wonderful with the deep green tiles on the wall – you almost feel like you’re completely removed from the hotel! The menu is focused around Spanish ingredients using local and international cooking techniques. 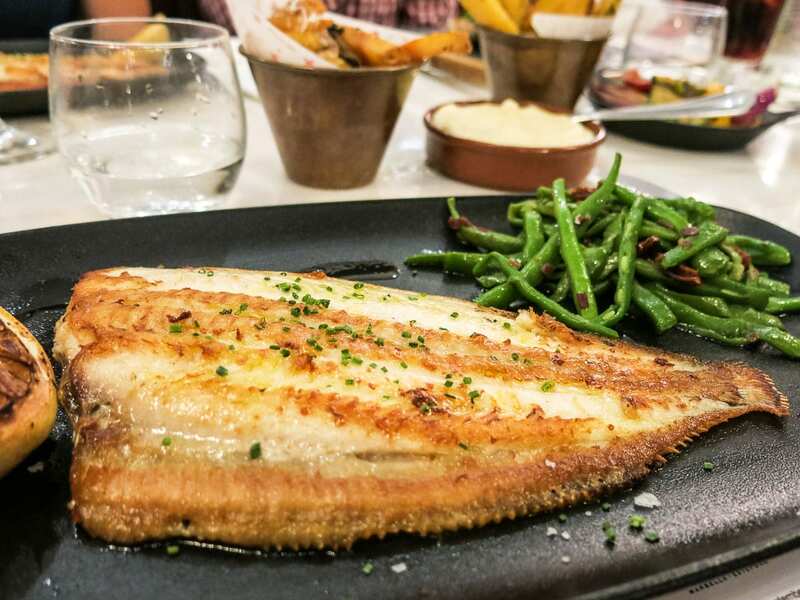 There is a focus on meat, but on the night I dined here I ate a beautifully cooked sole and the tapas to share included seabass ceviche, octopus and grilled scallops. This was my favourite place to dine at the hotel! Breakfast is served in El Mirador, a stunning spot where I sat out on the terrace, enjoying the gardens and sea views each morning. 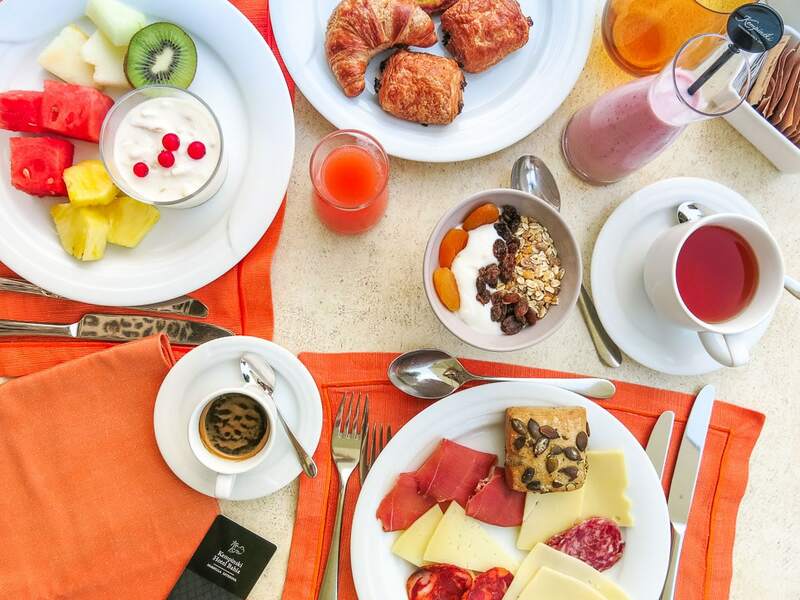 I absolutely love a great hotel breakfast and Kempinski Bahía definitely set the standards high in their breakfast game. There is a whole area just for different fresh juices, fruits and smoothies. There were also plenty of cheeses and hams to try, cereals, yoghurts, pastries and a wonderfully stocked bread station. The chef also made eggs and omelettes to order. Oh, and I can’t forget the Haagen Dazs ice cream parlour by the pool. After all, everyone needs their daily dose of holiday ice cream! 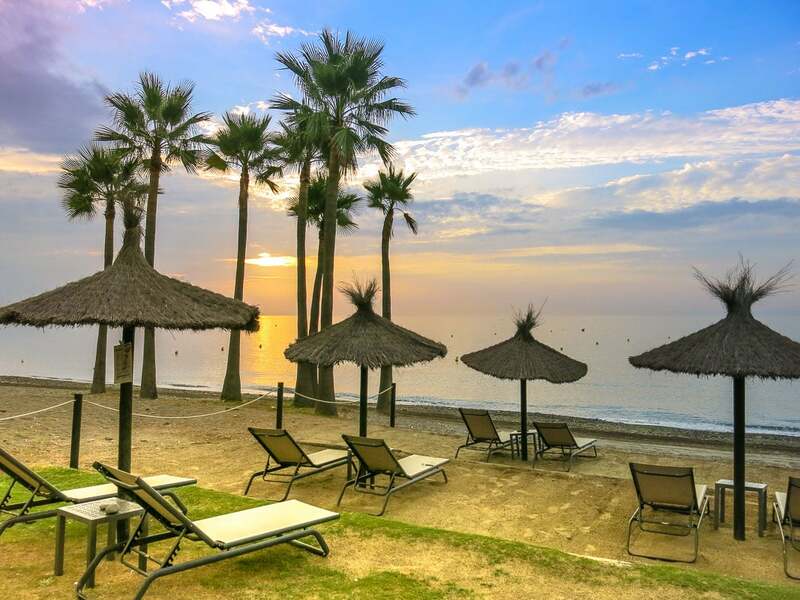 Kempinksi Hotel Bahía offers 5-star luxury on a quiet beachside location that also puts you in a great spot to explore the rest of Andalusia. There is something here for everyone: you can enjoy a completely relaxed holiday with the pools, spa and beach or you can take advantage of the great location of the hotel and enjoy one of the many day trips on offer, water sports, golf and more! Big thanks to Kempinksi Hotel Bahía for hosting Vicky for this review stay. All opinions are her own – it sounds like she had a lovely stay! 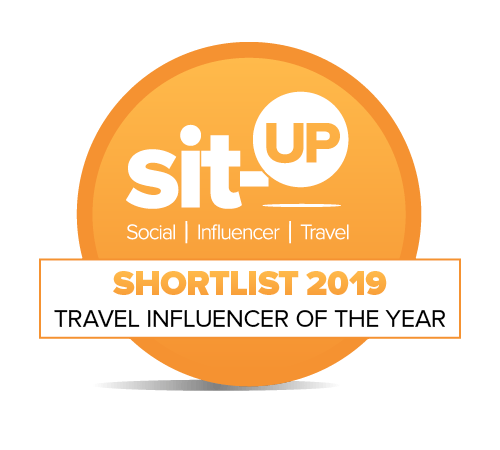 Thanks Gina – such a gorgeous place to stay! Nice post. That looks absolutely delicious! Thanks Nash – gorgeous spot isn’t it? Looks like you had a heck of a good time. Amazing hotel, looks big enough to get lost in, not necesarily a bad thing. Thanks Aaron – such a gorgeous place!